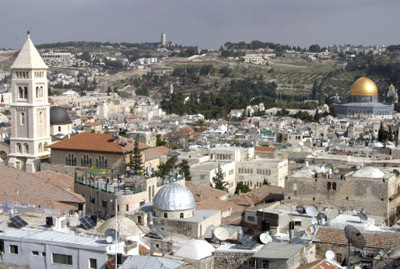 Jerusalem is the capital of Israel and also the largest city in the country. Jerusalem Old City is said to be the oldest and the holiest city in the world. It has a history that spans back to the fourth millennium BC. The old city is full of sites that are holy and thus attract countless pilgrims from all over the world. Jerusalem is claimed to be sacred by the three major religions. It is believed by many that anyone who is a Christian, Jewish or Muslim must once pay a visit to this holy place. The old city is filled with countless temples and ruins that any tourists can visit. 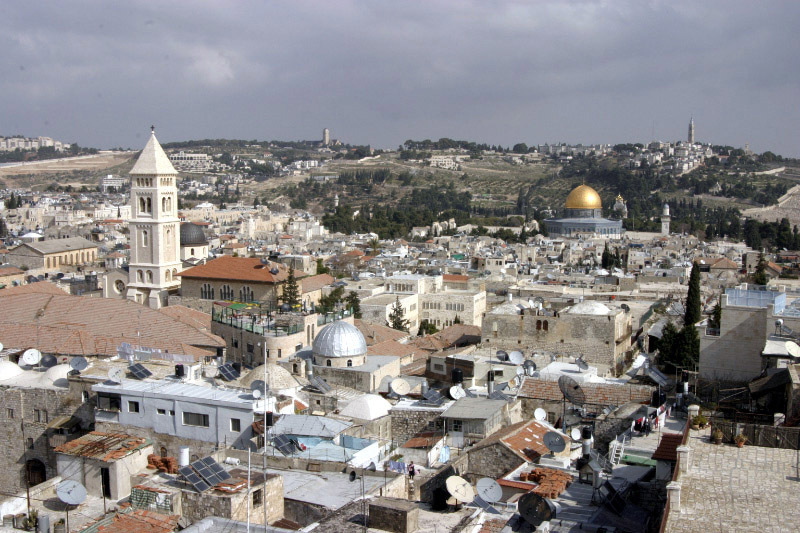 The old city of Jerusalem has a very strong combination of Jewish and Arab culture. The main attractions are found in the overcrowded city which includes some remains of the Roman dynasty. The Tower of David is where King David had his final resting place. But the main focal point of attraction is where Jesus is said to have been crucified. Jerusalem Old City is also famous for the ‘Wailing Wall’ which was once called the Solomon temple. The wall has countless scribbled messages to God that are hidden in and around the stones. The wall is a very enchanting place for tourists to come and get a firsthand experience of some common Jewish rituals. The Dome of the Rock, located at the Temple Mount in Jerusalem, is a shrine that represents the holiest place of the Islam religion. Muslims believe that the site is where the prophet Muhammad ascended into heaven. I want to receive more information about Jesus,and i am very happy to see the pictures of Jerusalem especialy the old city.From now no one will tell me lies about Israel because the facts are there. OMG, what a not-so-good article about a beautiful and holy place. for many – and not only jews, jerusalem is still ‘the center of the world’. Wow!amazing!dz places i usd 2 read frm d bible! Glory to GOD. . . Thanks for giving these informations. . .
For those of you who think that Jerusalem is the capital of Palestine, you need to read the truth of the history of Israel. When God gave all the land to Abraham there wasn’t any such thing as a “Palestine” or a Palestinian. Therefore it is the JEWISH capital of Israel given to His (Jehovah) people the Jews by the only true God, Jehovah God Almighty. It is, and will ALWAYS BE JEHOVAH GOD’S Holy City. I love Israel as much as I do the United States of America. All glory be to God and His Holy Son, Jesus Christ!! I’m not Palestinian, but according to Teresa’s theory I can say the same thing about many countries that didn’t exist at that time. I can say, for example, when God gave all the land to Abraham there wasn’t any such thing as an “American” or America. What you said was so silly. Who lived in that region in the 1800s? 1700s? 1600s? or there was no one there? What happened in 1948? Who was fighting the war? How did the map of the world look like in 1920s? Don’t deny people their ancestory or heritage or even their place of birth by saying it doesn’t exist because “when God gave all the land to Abraham there wasn’t any such thing as a ‘Palestine’ or Palestinian”. As a follower of God, shouldn’t you be more sympathatic against people who suffer from injustice rather than encouraging it? I love how only some people here know how to spell. I can only read 2/3 of the responses fully. Anyway, this is a good source if you’re hoping to find a little information on the city itself, not just the history. I would like to know more about the old city and someday come and see it and all the other great and beautiful things in Israel (Jerusalem). I would like to know more about the old city and someday come. The descendants of Eber was called Hebrew. Abraham was the descendant of Eber. The grandson of abraham was jacob. God blessed jacob and renamed as ISRAEL. Judah was the forth son of Israel. So the descendants of Judah was Jews or Israelites. The country is now called ISRAEL.